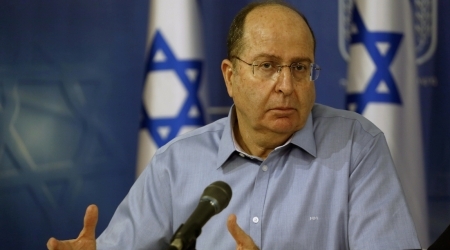 Israeli Defense Minister, Moshe Ya’alon confirmed, on Wednesday, that Israeli occupation authorities know who burned the house of the Dawabsha family, in July, but failed to identify them.He claimed, according to Al Ray, that Israeli security sources held the settler assailants in administrative detention, without being tried, in order to protect the identity of intel sources. Israeli Channel 3 reported that three Israeli settlers were administratively detained without being arrested on formal charges and identified them as Meir Aitingr, Mordechai Mayer and Aviacar Sonim. 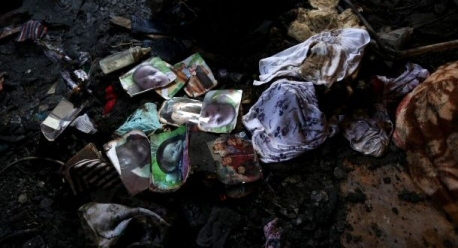 PNN further reports that the July 31 attack in Douma village, northern West Bank, burned alive the 18-month-old Ali Dawabsha. His father Sa’ad and mother Riham died of their wounds the following week and in early September, respectively. Four-year-old son, Ahmed, is still hospitalized in Tel Hashomer hospital, with burns over much of his body, is the sole surviving member of the family. An Israeli senior military officer told reporters, Tuesday, that security agencies had “no doubt” that the Douma attack was perpetrated by Jews. The officer also responded to complaints by family members of the victims — reiterated this week by a UN official — that said Israeli forces were lax in locating the suspected attackers. While he would not give any update on the investigation, including whether there were suspects, he said that security agencies were ‘devoting every required resource’ to solving the case and catching the perpetrators. Following the attack, the Israeli police announced they were unable to identify the Douma arson attacker, and asked for help to find leads to the suspect. In August, Haaretz said that the Israeli Army issued administrative orders against around 10 settlers living in West Bank settlements and in Israel over the past several days, as part of its crackdown on “Jewish extremism”.